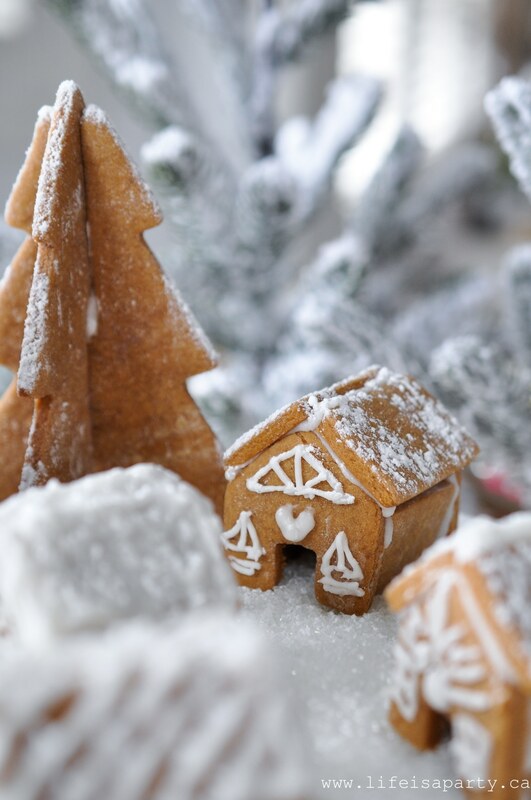 Gingerbread is a real favourite around here. My husband and my kids love it. 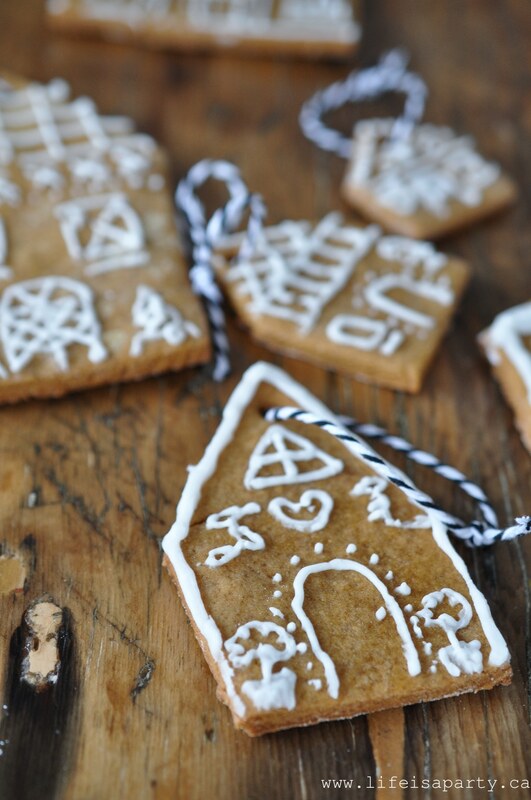 We made the sweetest little house gingerbread cookies for hanging on the Christmas tree or giving as gifts. 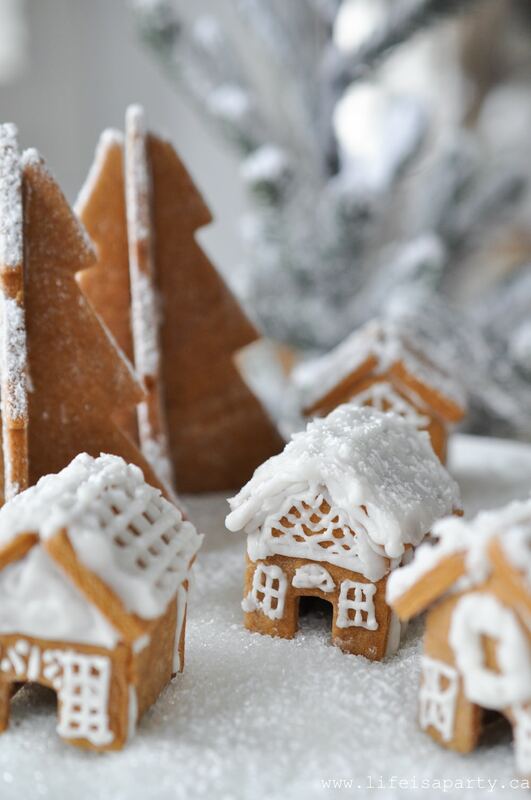 And then we couldn’t resist making some tiny little gingerbread houses. 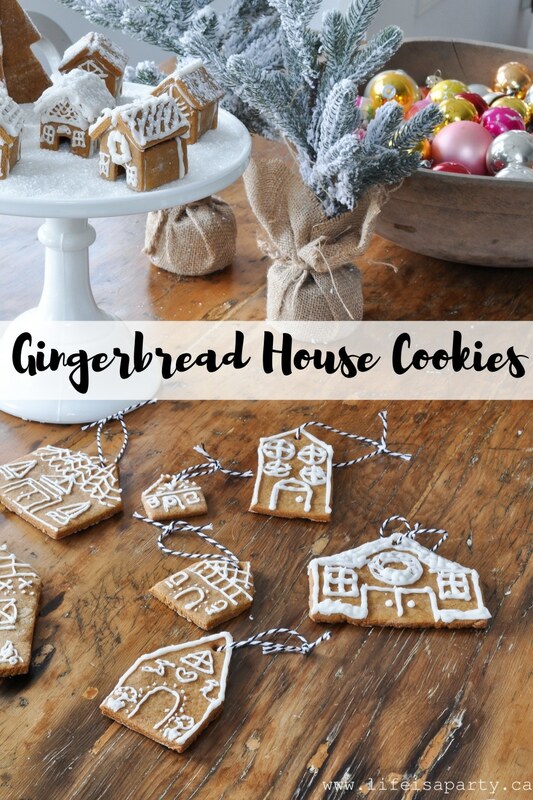 I’m so excited to be joining in the Christmas Cookie Hop, hosted by A Pretty Life. 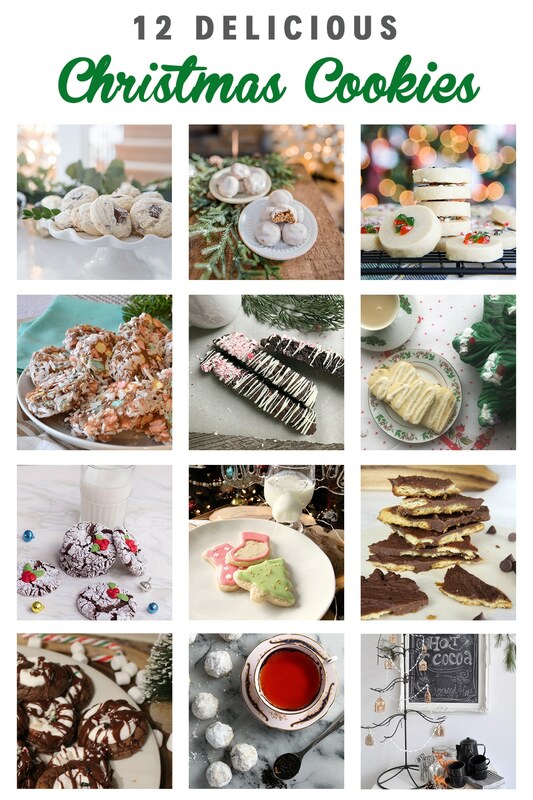 Be sure to check out more great Christmas cookie recipes at the bottom of the post. Combine flour, salt, cloves, ginger, nutmeg and cinnamon in large bowl and set aside. Add butter and brown sugar to a stand mixer and beat until light and fluffy. Add in the molasses, and mix well, scraping down the sides of the bowl. Add in the egg, and mix well again. Gradually add in the flour mixture, and mix until the dough comes together. Divide dough in half. On a floured surface roll out the dough and cut out with shapes. 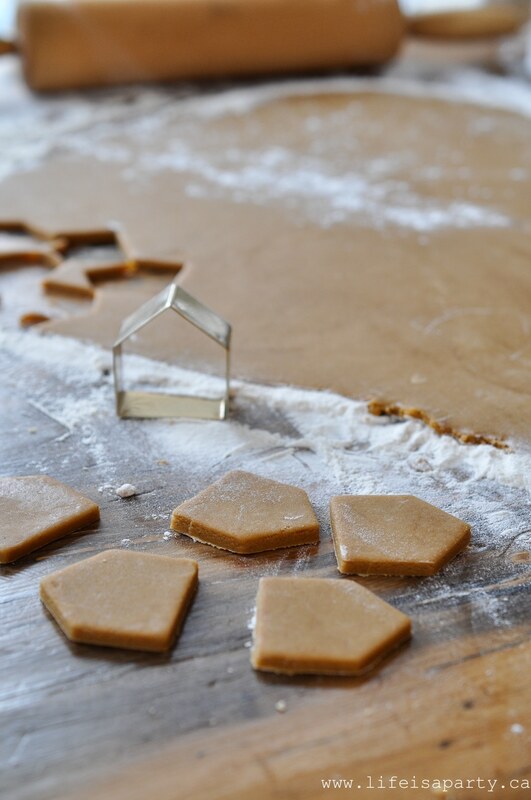 Bake at 350 F for 10-15 minutes -less time for smaller cookies, more for larger cookies, and less for chewy cookies, longer for crunchy cookies depending on your preference. Allow to cool on a rack. To make the icing, combine powdered sugar, milk, and 1 tbsp butter in a bowl and stir to fully combine. 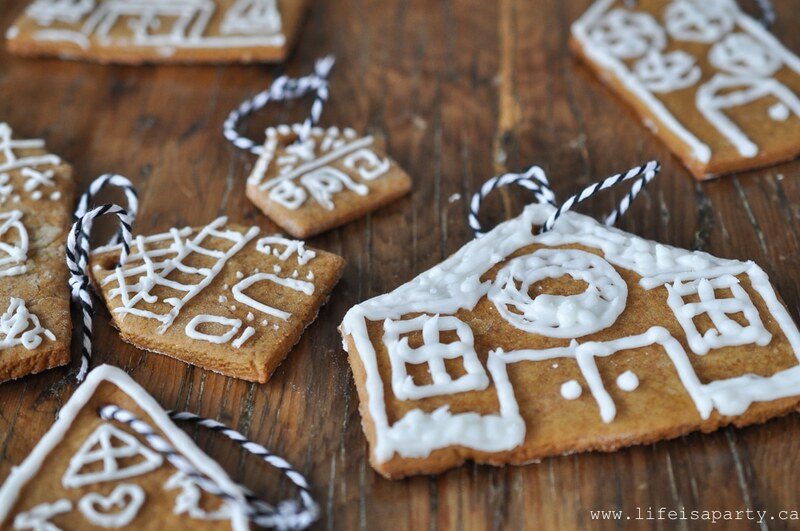 Place in a piping bag, and decorate the cookies. We used a little bakers twine to hang them from. 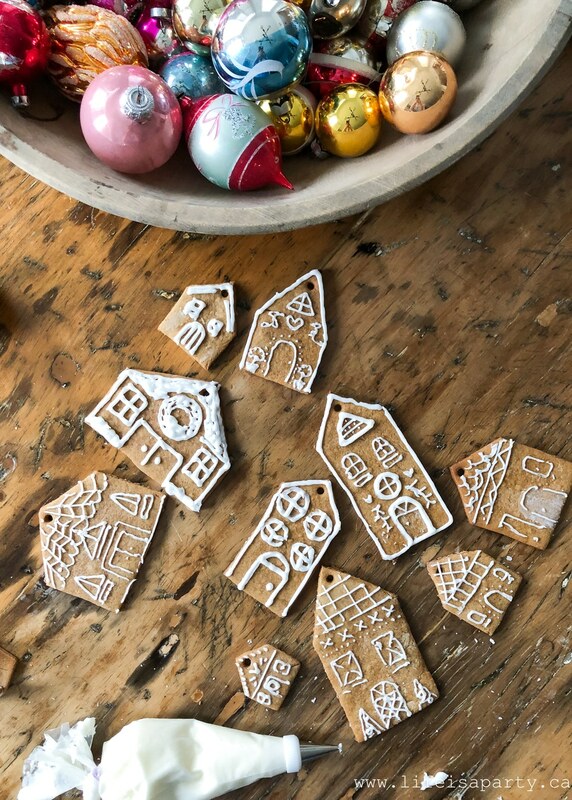 The tiny houses are made from a cookie cutter set from H&M Home. My girls actually decorated them all. I think the students have exceeded the teacher now. I was working on some last year, and then they came home from school and made some far more beautiful ones than I had. This year I left it too them. 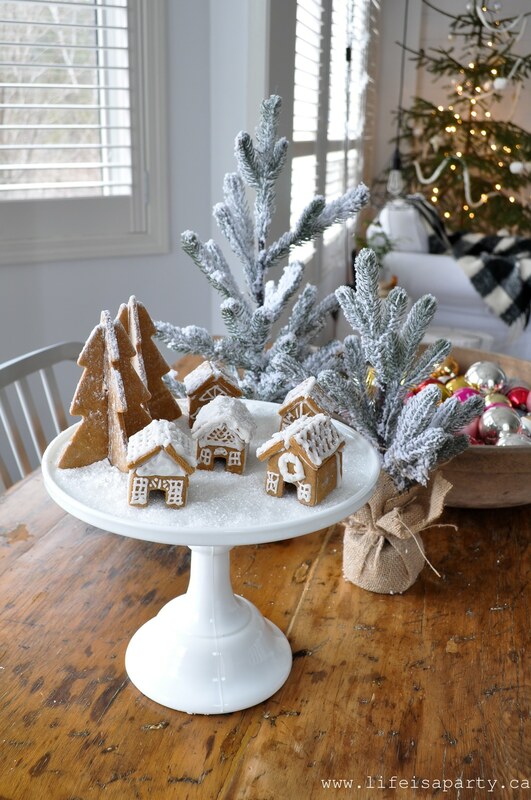 We arranged them on a cake plate and added in a few cookie trees too. 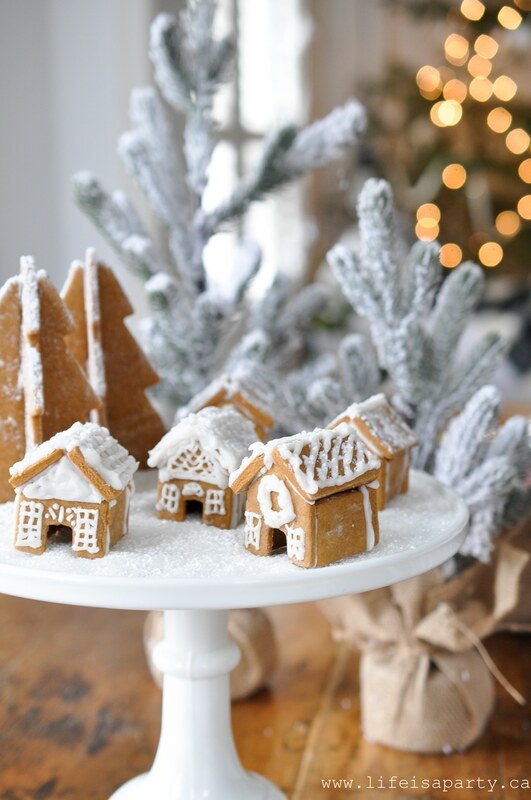 The plate is decorated with some coarse sugar, and then sprinted with more powdered sugar. I love how they turned out, and they’re so delicious too. The perfect Christmas cookie. 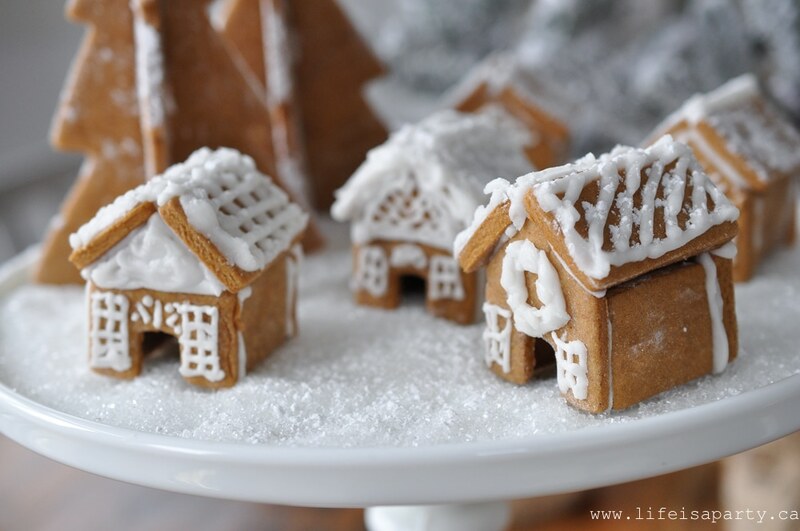 I love making gingerbread houses! 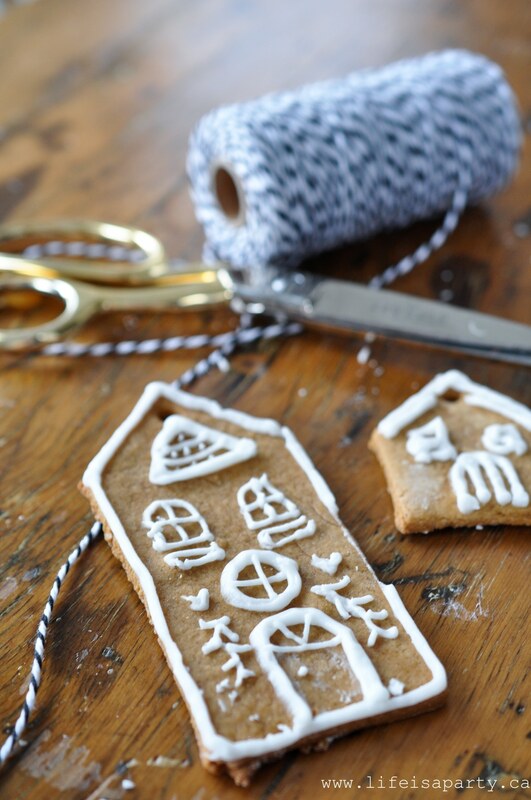 We have tiny house cookie cutters too. So much cuter than one big house. These are THE CUTEST Dannyelle! 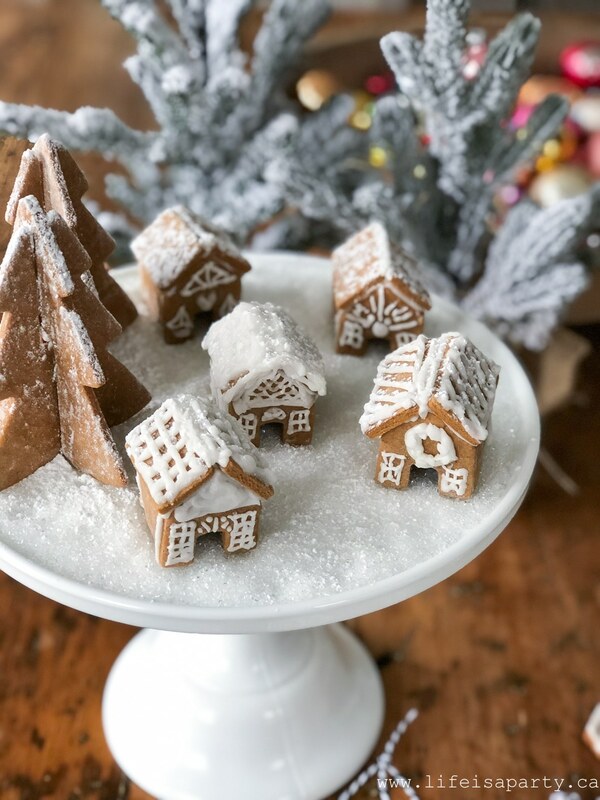 What a delicious and gorgeous Christmas cookie! Thanks so much, and hostess gifts is a great idea. Jen, thanks so much. Isn’t everything cuter in mini version? Jen, thanks so much. I have to admit that my girls decorated them not me -I’m luck that my helpers are so good!